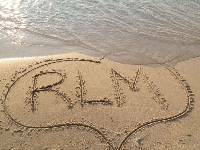 Southwest Michigan ... Visit The Michigan Riviera. 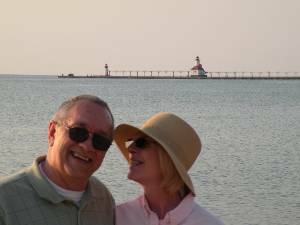 The southwest Michigan coastline is dotted with charming beachtowns that have a slight advantage over the northern beachtowns ... warmer water. Michigan's southwest coastal waters are warmer in the summer due to the lake being a little shallower, and the fact that winds are generally out of the west. It is common for summertime water temperatures here to reach in the 70's. Located only 90 miles from Chicago,you can understand why this is a very popular weekend destination. A visit during the week is a good way to avoid the heaviest traffic, if you don't like crowds. You will enjoy some of the best beaches in Michigan, visit western Michigan wineries, galleries and old inns. Experience romantic meals at cozy western Michigan restaurants. Spend fun filled days at festivals, and countryside orchards. Whether you want to enjoy a day trip, or spend some extended time, you'll understand why these southwest Michigan beachtowns are considered the Riviera of the midwest. Driving from New Buffalo to Saugatuck (about 72 miles), the Red Arrow highway and Blue Star Memorial Highway, offer the most scenic route. These highways run along the lake so you can stop and take advantage of great views. 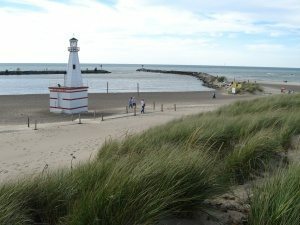 You can use the map to explore the southwest Michigan beachtown areas. Zoom in or out. You will also see why the Red Arrow Highway and Blue Star are the best route. Visit these Michigan beach towns, and you may never want to leave Michigan's Riviera! Made up of 8 sleepy little towns, that offer days gone by charm, visit once ... and your hooked. This area is also close to some of the most lush vineyards, and beautiful wineries in the state. There are plenty of great places to stay but, if your plan is to stay awhile, make reservations early, as it is such a popular destination for Chicago folks. Here is a PDF map of Harbor Country. 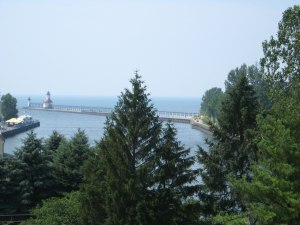 Leaving Harbor Country, take Red Arrow Highway north about 27 miles to St. Joseph, Michigan. You could take I-94 but Red Arrow is much more scenic. This scenic beachtown sits high on a bluff that overlooks Lake Michigan. South of its two piers is one of the most popular summer beaches in the area ... Silver Beach. This is one of the finest beaches in S.W. Michigan. Walk to downtown St. Joseph from the beach and browse the many shops and restaurants. Take M-63 North out of St. Joseph about 25 miles to South Haven, Michigan. Now, M-63 will turn into Blue Star Memorial Highway, again this is much more scenic than 196 which also goes to South Haven. 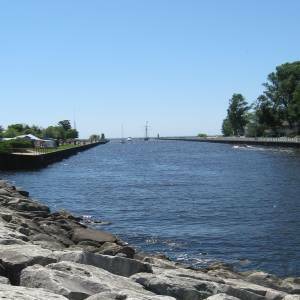 South Haven is another of the fun southwest Michigan beachtowns. A beautiful lighthouse sits at the end of the pier where the Black River enters Lake Michigan. Some of the best Perch fishing in Lake Michigan can be found here. A scenic harbor area with great restaurants, and all this close to the beach. Keep traveling north on M-63 about another 17 miles and you will arrive atSaugatuck/Douglas Michigan. These cities, and their tree lined streets, are nestled among the Lake Michigan dunes, and surounded by rolling farmland and orchards. If you love art, this is one of the most visited art communities in the midwest. Starting in June, every wednesday you can enjoy music in the park. MTV ranks their Oval Beach as one of the top 5 beaches in the United States. Here is a PDF map of Saugatuck-Douglas. Got a great beach town story or a Michigan Beachtown you absolutely love? Tell us about it. Go to our contact us page and let us know!